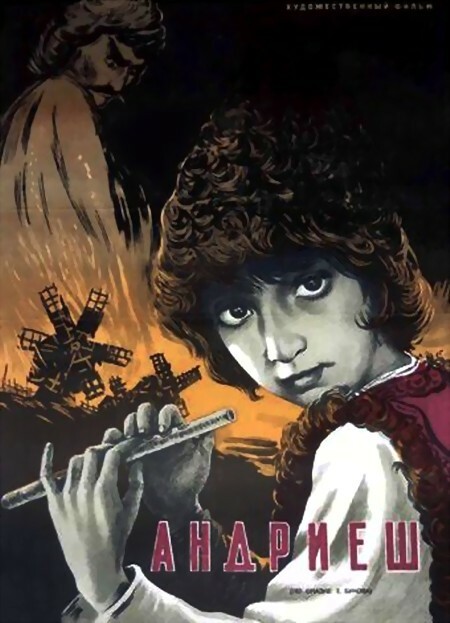 A major foreshadowing of Paradjanov’s later work, the visually prodigious Andriesh, based on a Moldovan folk tale, is an entertaining tale about a young shepherd who is given a magic shawm (a flutelike instrument) to help him conquer his foes. With its flying sheep, evil wizards, and storm demons—all captured in the gloriously artifical palette of fifties Soviet color stock—Andriesh has the kind of eye-popping, whirlwind weirdness of Paradjanov’s last films, Suram Fortress and Ashik Kerib. LENGTH OF FEATURE FILM: 58 mins.